Presence and absence, empty spaces and in-between worlds! 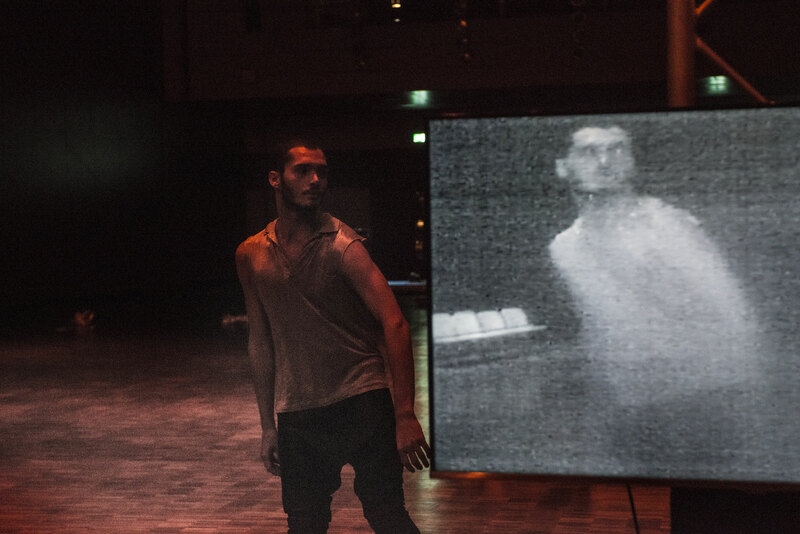 The CocoonDance company presents during the Beethoven Fest in Bonn its new dance production “GHOST TRIO A - corps furtifs”, which is based on Beethoven's Piano Trio in D major, Op. 70 No. 1 -- the so-called "Ghost Trio". 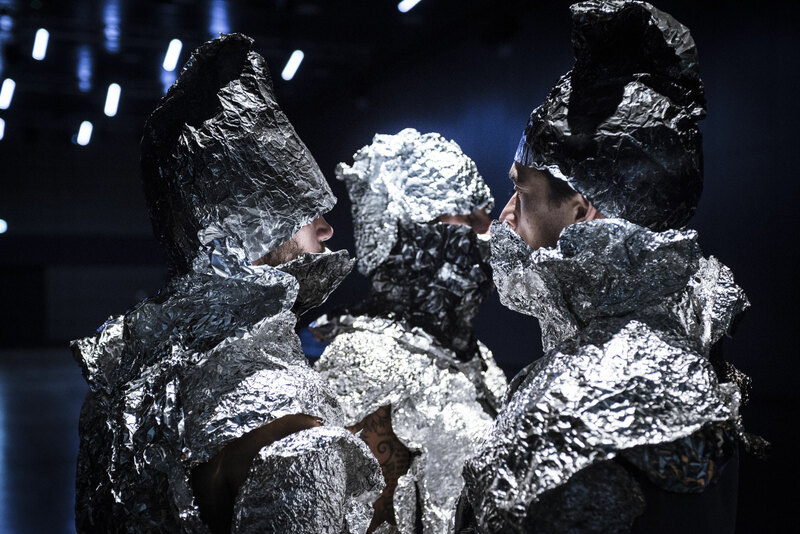 Inspired by Samuel Beckett's "Ghost Trio", a late television play written by the author in 1975, the dancers approach the unspeakable by relentlessly using their bodies as a medium. 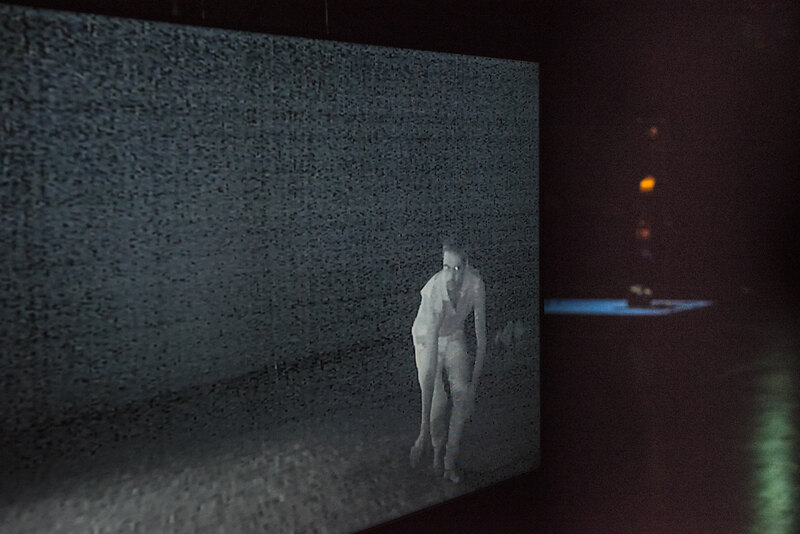 The performance is built upon specific theatre dispositive to examine the dimensions of space, music and time. On stage, everything is taken off the bodies which contribute to their identification as human beings and bodies. This leads to an exciting “hide-and-seek” game with the spectators who are looking for certainty and orientation. As soon as the audience manages to fill in the blanks, something else confusing shows up. That’s the task of the ghosts! 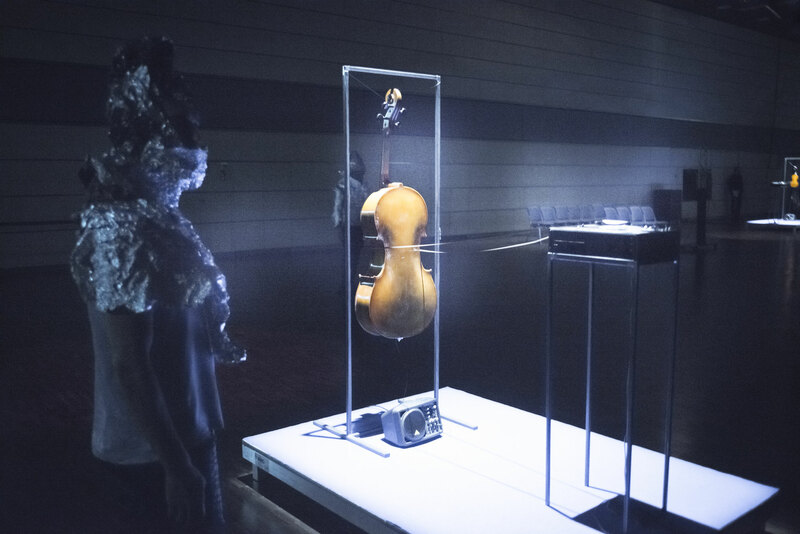 As ghosts of the past Beethoven and Beckett are both welcomed guests, but they both appear to us in a re-interpreted way as fragments of memories. Of the trio, for example, only the pianist is visible. The string players stay in their intermediate world - not visible, but present. One cannot display more vividly the separation from one's own corporeality. As it is often the case with the dance productions of CocoonDance, the spectator must find himself either a steady hold or a vanishing point from the reality. (...) Dancing as a pure form of representation is far exceeded in this concept, but the dance is assigned to perform existential tasks of life analysis and coping with life itself. Here we can also see the point of contacts with Samuel Beckett's play "Ghost Trio" which inspired this exceptionally touching production. A strong piece." 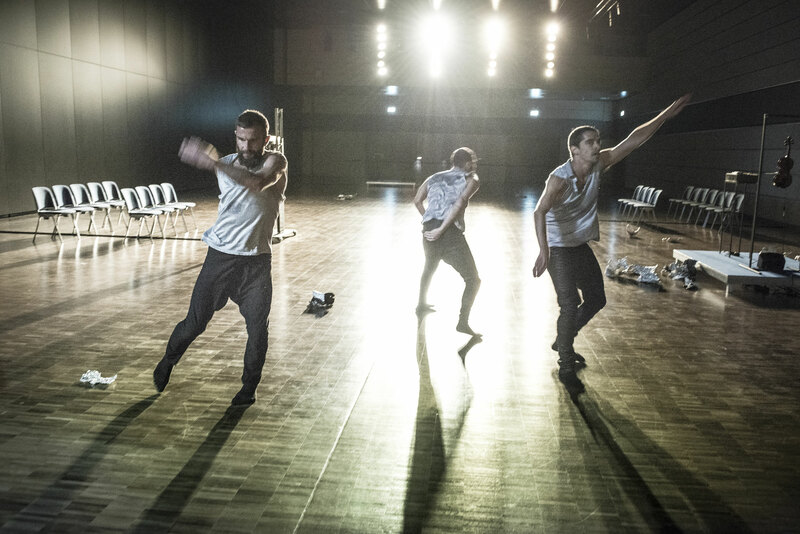 "Once again an exciting play with the perception, which is often the subject of exploration in the productions by choreographer Rafaële Giovanola and dramaturge Rainald Endraß, the two founders and directors of CocoonDance. (...) In this piece, which as a further reference is inspired by Samuel Beckett's cinematic Beethoven tribute "Ghost Trio" from the 1970s, the horror becomes a driving moment. The is almost physically palpable when one of the dancers crosses the room completely unclothed, shivering and gasping: he is the personified naked fear. A deeply impressive evening (...) ". 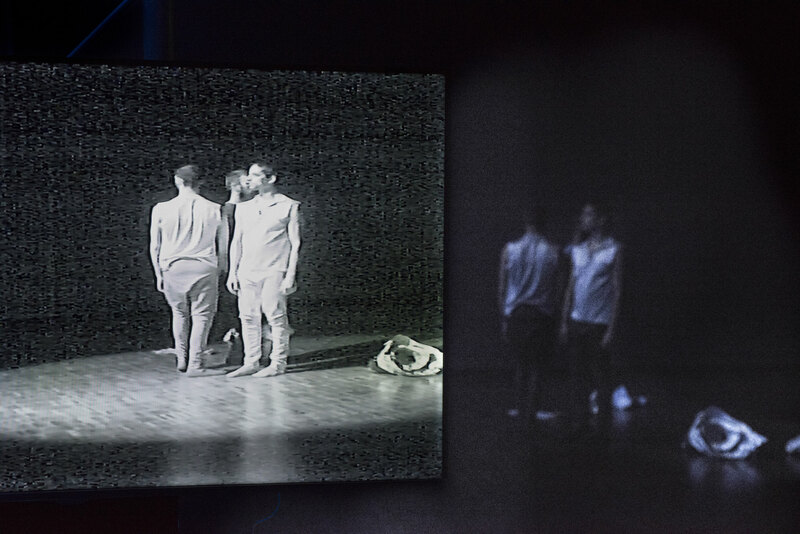 This (piece) is choreographically exciting and ingeniously structured. 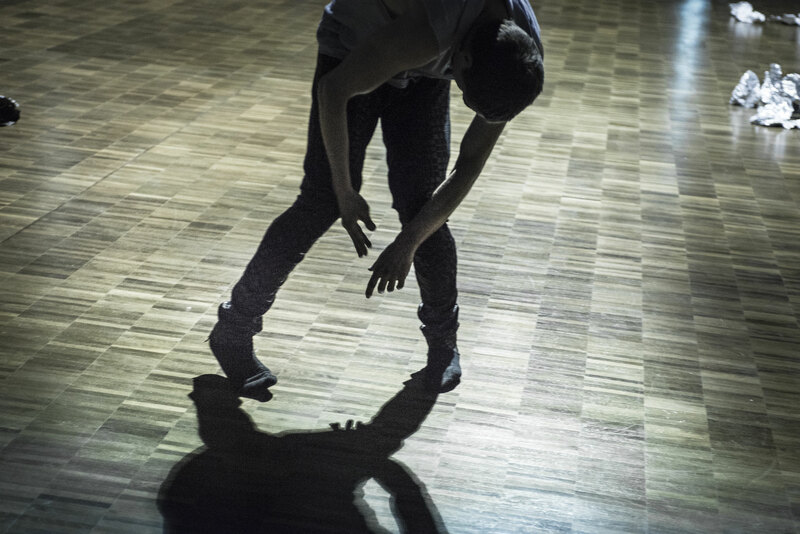 (Choreography: Rafaële Giovanola) The changing movements seem to be triggered by the changes in the music, the time factor or changes in the lighting. The dance aspect in the usual sense remains deliberately to be left out. 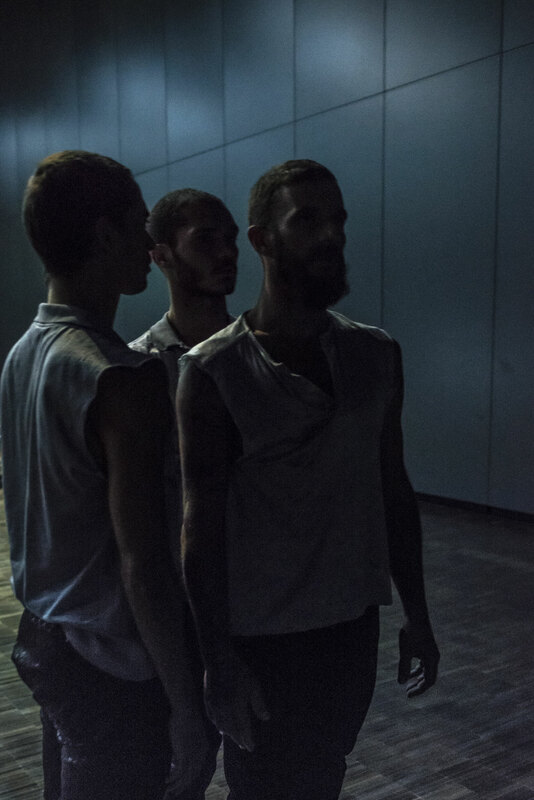 Giovanola relies entirely on scenic effects, gymnastic elements or the direct physical expression. This can also turn out grossly as in the last scene in which one of the dancers is naked, seemingly freezing and violently trembling, exhaustingly tripping through the room and disappearing into the darkness. A spirit that became alive or an alien in the stage of mutation. "Ghost Trio A - corps furtifs" is mysterious and fascinating at the same time. "